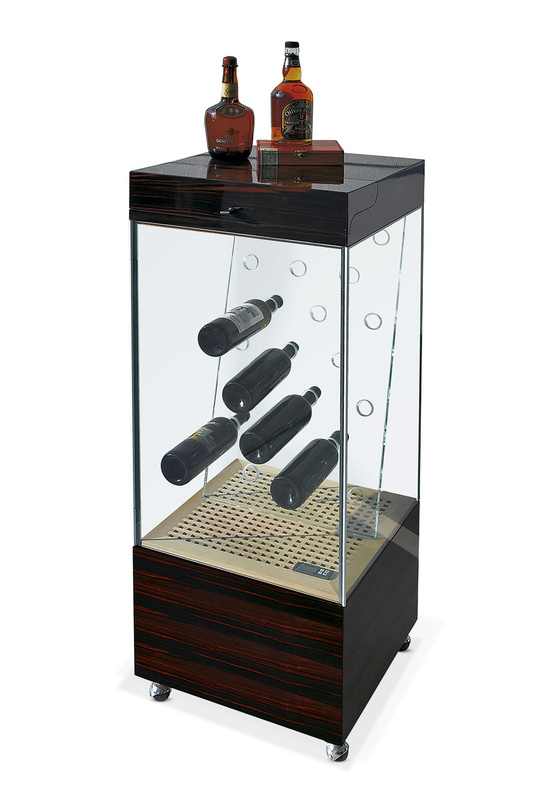 Wine cellar-cigar-case. 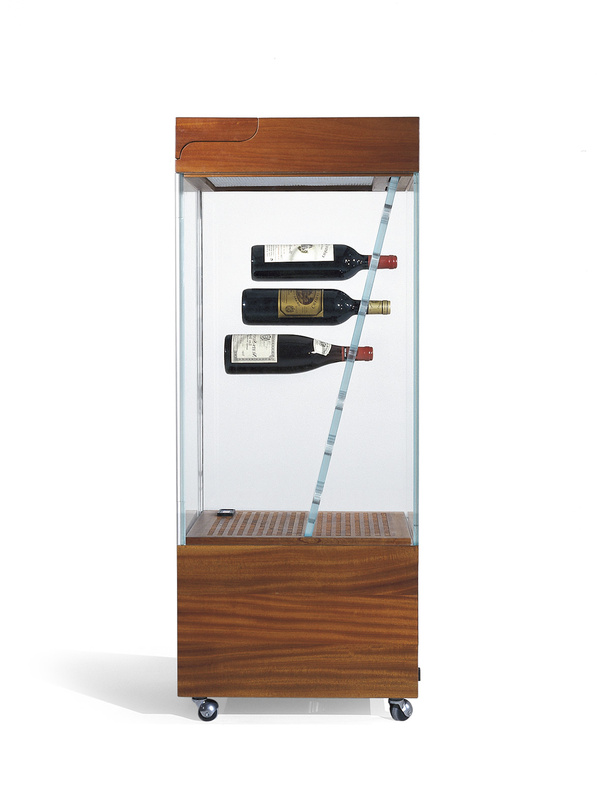 Base made in mahogany or ebony, matt finish or in black shiny lacquered finish, containing the cooling-humidifying system. Central part in extraclear glass with bottle-stand in extraclear glass 15mm thick. 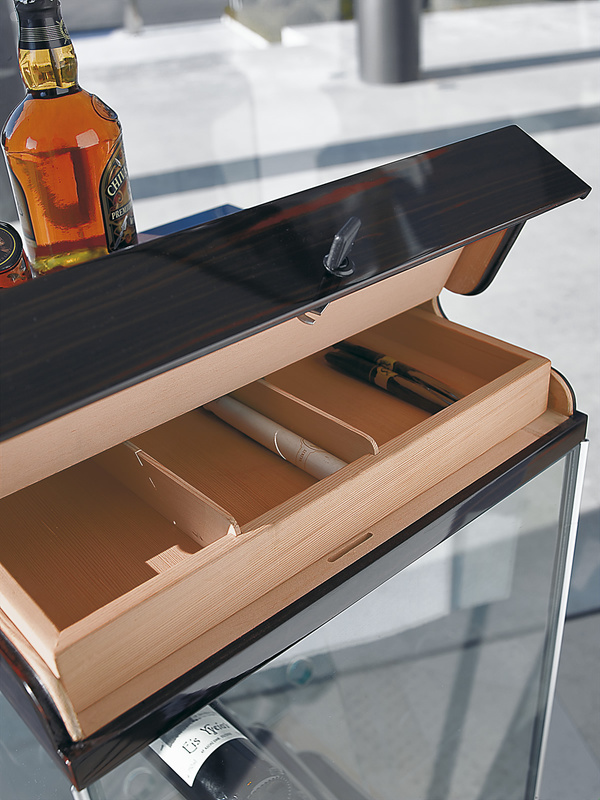 Upper cigar-case with inside grating.